President Jacob Zuma has promised that the ANC will focus this year on achieving “radical” transformation of the economy and, by implication, of society. He (and many others) believe that SA’s levels of poverty and inequality are unacceptable. But Zuma’s understanding of “radical transformation” is neither radical nor transformative. His focus is almost entirely on who owns the economy, as if poverty and inequality are the direct result of ownership, and only that. A further layer to the ownership debate is the state versus private sector argument, with organisations such as the ANC Youth League (ANCYL) advocating a greater presence of state institutions in the economy (such as a state-owned bank) as a necessary precursor to a more equitable and just society. In this explanation of the status quo and what needs to be done to change it, the continuum runs from a white-owned economy with minimal state intervention at one end (call it point A) to a black-owned economy with significant state involvement at the other (point Z). The real reason SA has such high levels of poverty, deprivation and inequality is because the economic system and the state are dominated by institutions that have little real interest in radically transforming the lives of the poorest and most vulnerable. Big business and the state demonstrate their disdain for concepts such as social justice and dignity daily. 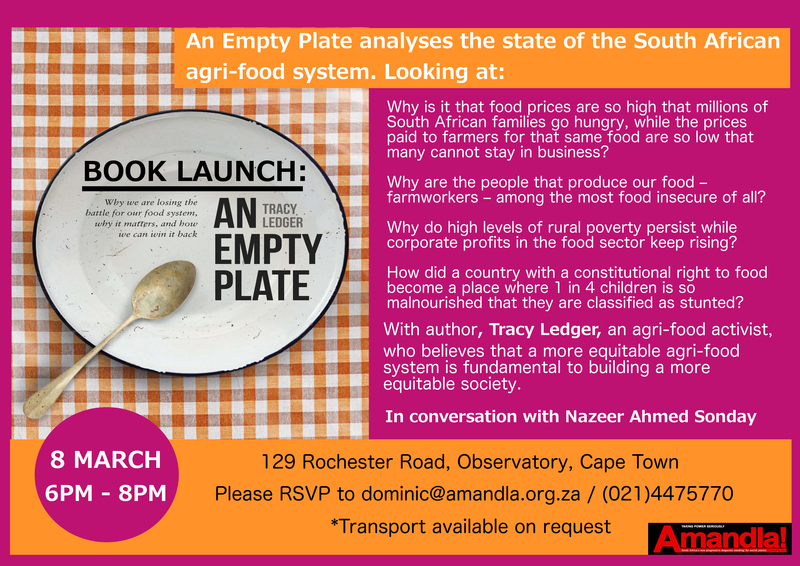 Millions of South Africans are food insecure and face the threat of hunger. For some, this is a matter of life and death. The most recent District Health Barometer (for 2014-15) indicated that 15,910 children under the age of five were admitted to hospital in that period suffering from acute malnutrition (essentially starvation). Of those children, 1,852 died. From 2009-10 to 2014-15, 11,230 children under the age of five died of hunger in SA, most because their parents couldn’t afford to buy them sufficient nutritious food and the state did not care enough to step in. At the same time that children are dying of starvation, government officials spend tens of millions of rands on luxury vehicles for themselves. This disregard for the poor is replicated in the private sector. Remember the bread-price-fixing scandal? Three companies — Tiger Brands, Pioneer Foods and Premier Foods — colluded to fix the price of bread, one of the staple foods of the very poorest, for the sake of increased profits. Tiger Brands and Pioneer Foods are listed companies. At the time of the price-fixing the Public Investment Corporation (PIC) was the single biggest shareholder in Tiger Brands and it still is. The PIC (which is 100% owned by the government) is also the single biggest shareholder in Pioneer. 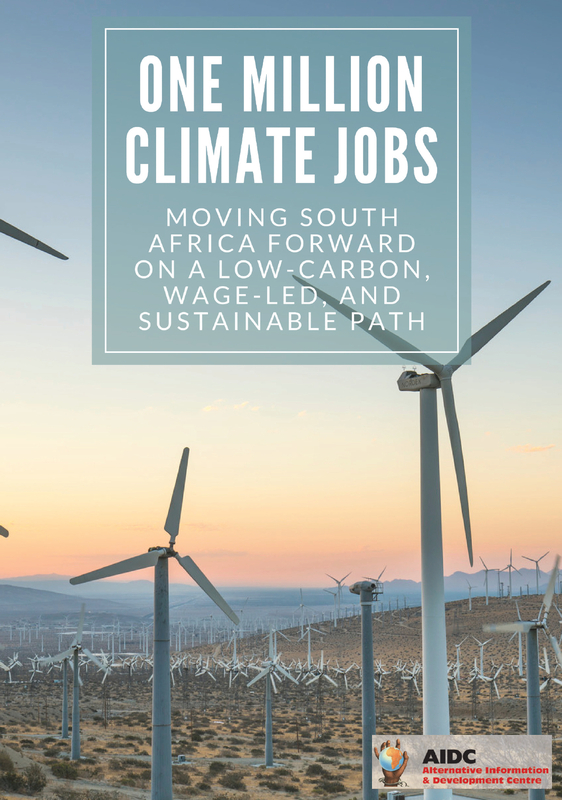 Effectively, the same state that professes its commitment to radical economic transformation has overseen the extraction of profits from the poor through price-fixing. The funds the PIC manages are made up almost entirely (close to 90%) of the assets of the Government Employees Pension Fund (GEPF). The PIC also manages funds on behalf of the Political Office Bearers Pension Fund. Zuma and the entire Cabinet, through their membership of this pension fund, have benefited from the profits Tiger and Pioneer made selling over-priced bread to the poor. The government has never demanded that the PIC withdraw from these investments, or – even better – used their power as the biggest shareholder to get these firms to do business in a way that would make food more affordable for more people. Much of SA’s economic system is focused on extracting value from the many and redistributing it to the few. In the food system, simply changing the ownership of big food processing or retailing companies will not fundamentally change the outcomes of their way of doing business. These outcomes include declining farm incomes, which make it almost impossible for land reform beneficiaries to earn a living, and rising food prices that worsen hunger. These outcomes cannot be attributed to some nefarious back-room dealing of “white monopoly capital”. Instead, they reflect 22 years of legislation, regulation and policy-making by the ANC government. It is this overarching governance system that created an environment for predatory capitalism to flourish, and it will continue to do so, irrespective of whose names appear on the shareholder certificates. There are many schemes in place to support new farmers and thousands of officials whose job is to do that. Little of this support materialises in an effective way: promised funds are paid out late, or simply never arrive. Year after year, beneficiaries complain about the ineffectiveness and lack of accountability of agricultural extension officers. But nothing changes. How exactly does the ANCYL believe that the state, which finds it acceptable to spend money on luxury vehicles while children starve to death or to deny land-reform beneficiaries their one chance at a better life, will be such an excellent overseer of a transformation bank? When ANCYL president Collen Maine chastises Treasury for not doing enough to effect socioeconomic transformation, why does he not demand they withdraw the equitable share from provinces and municipalities where one child has died of hunger, to force them to prioritise their spending on social justice and to give effect to the constitutional right to food? 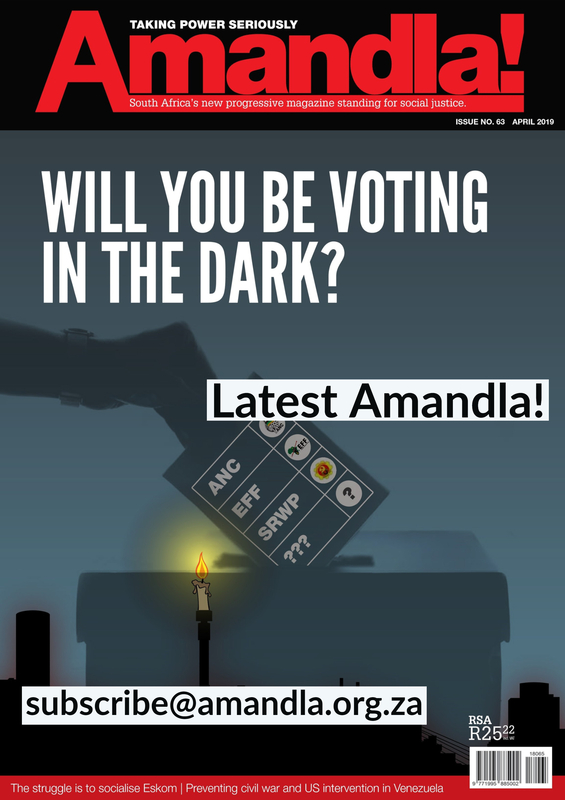 Municipalities have been threatened with that action for failing to pay Eskom accounts. When thinking about SA’s economy and society in terms of what builds social justice and human dignity and what undermines these goals, big business and the government don’t look as though they are opposing each other. We need a much more useful public debate in this country on radical transformation, rather than the tired old binary people imagine exists between the private sector and the state. These are merely institutional forms of organising a society and an economy; they hold no fixed normative essence; there is nothing inherently “good” or “bad” about either. What is more important is the moral foundation that underpins how the economy, society and the state is organised. A truly radical, transformative agenda would have as its guiding principle “the mutual recognition of human dignity” that is central to Zapatismo. In such a system there would be no possibility of children starving while the state has resources to prevent it. There would be no place for companies to flourish on the misery of others. Economic assets would be more equitably owned by more people and would benefit all. But that vision requires that those who have power — within the state and the private sector – concede that to the greater good. That would be real transformation, but it is probably too radical ever to become reality.